At Angel Smile, we care for your children’s smiles, from infants to teens. We provide pediatric dental care to Wylie, Texas as well as nearby areas, such as Lucas, Richardson, Sachse, Parker, and St. Paul. 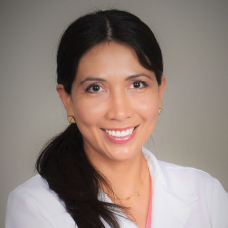 Dr. Kresevic and her dedicated team take the time to get to know every patient, and every parent, on a personal level in order to provide gentle, high quality care that everyone is comfortable with. Our state-of-the-art practice is an ideal dental home for your children, and we offer a warm and fun environment where kids feel safe and parents can relax. We go above and beyond to help kids feel completely at home while they are with us. Kids will love visiting our office! We hope our website proves to be a useful tool to learn about our practice and dental services. Please take a look around and contact us with any questions. When you are ready, we invite you to call Angel Smile to schedule your child’s visit. We do all we can to make it easy to get quality dental care for your child. We offer Saturday appointments, so you don’t have to miss work or school to come to the dentist. Our practice also sees dental emergencies, so if you require urgent care please call our office as soon as possible so you can be seen promptly. Dr. Kresevic attended Universidad Peruana Cayetano Heredia in Peru where she received her Doctorate in Dental Surgery degree. Dr. Kresevic completed an additional two years of education and training specializing in pediatric and adolescent dentistry at Bronx Lebanon Hospital-NY, and she was honored with the Pugh Award by the Board of Pediatric Dentistry in 2010 for being in the top 3% of pediatric dentists in the nation.